So…it is almost the end of winter and the weather has been going crazy, from sunny “warm” days to a three day rain strike. lovely. To make me feel better I decided to give it a try on the Zurek soup we had in Danzig. 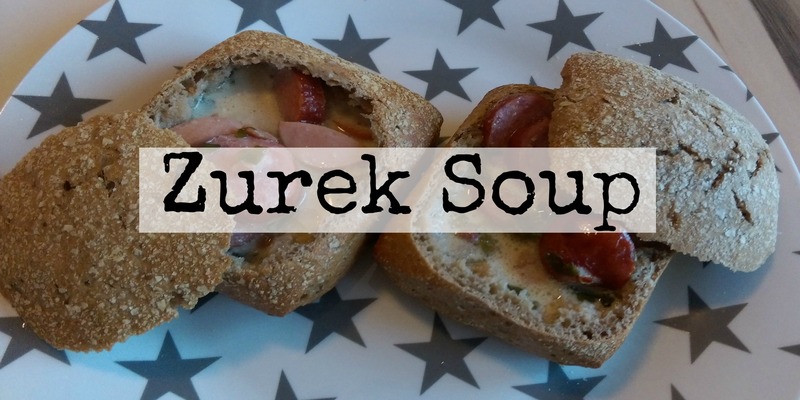 Zurek (pronounced as zhoorrek) is a traditional polish soup. 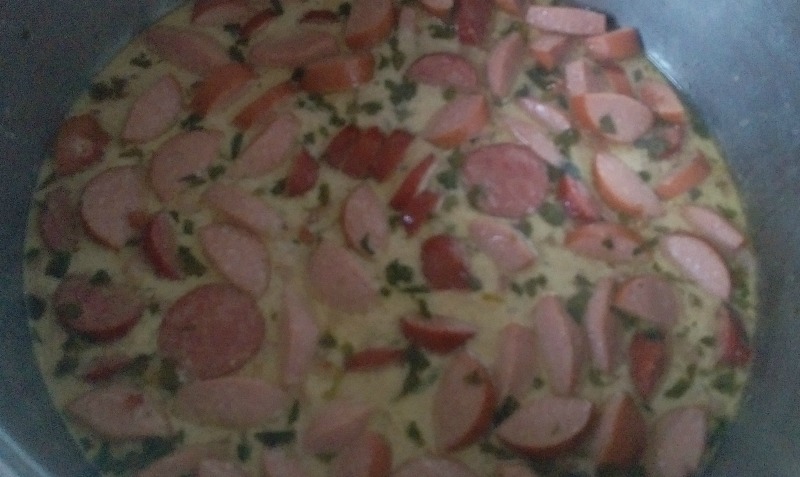 It contains some sausages, sour cream and even eggs, normally served inside a bread. The recipe varies in some regions of Poland. The recipe I found turned out well but you can add or leave stuff out as you please. IMPORTANT: This recipe is suitable for people on Low Carb diets if you serve it in a normal bowl, not a bread. The picture is terrible but I promise it takes amazing! Cut the top of your bread and dig a hole in it to fit the soup. For a first time, it turned out pretty well. 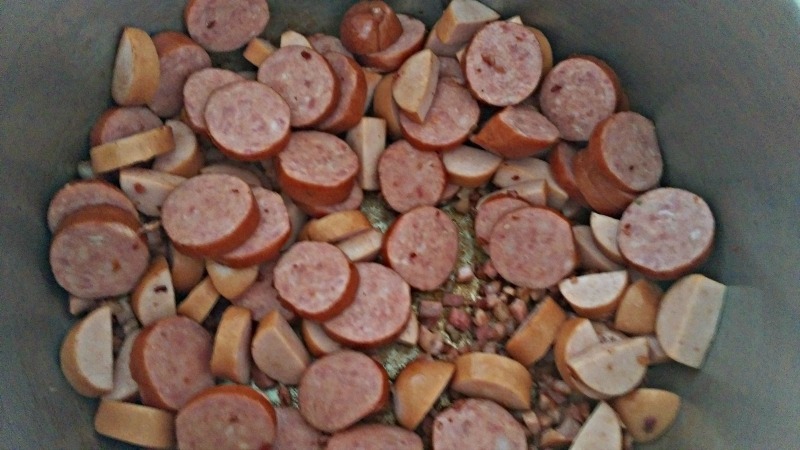 I just wish I had put a little less salt, because the sausages I used were already salty.